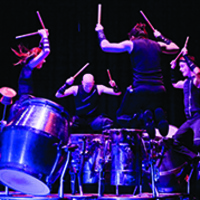 Scrap Arts Music, Canadian-born and globally enjoyed, has performed in more than fifteen countries on five continents for audiences of all backgrounds, with a family-friendly presentation of music and movement. Innovation. Energy. Rhythm. If you’re looking for a feel-good, adrenaline-packed experience—look no further. Take some scrap, transform it through the arts with welding, sculpture and choreography, and then—with five extraordinary and athletic percussionists—create beautiful music. The result? Musical works that are intricate, playful and powerful, and that delight the eyes and the ears. The Rozsa Center is proud to present the US debut of their latest production, new in 2018, “Children of Metropolis,” at 7:30 p.m. Wednesday, March 28. Scrap Arts Music is deeply rooted in an eco-friendly sensibility: all their instruments are hand- made from industrial scraps. Often compared to STOMP and Blue Man Group, Scrap Arts Music’s philosophy is a bit different—they insist on building full-blown artistic instruments from literal pieces of scrap. Each instrument is a one-of-a-kind creation that doubles as both music-maker and artistic sculpture. High energy original choreography makes artistic director and instrument maker Gregory Kozak’s nuanced compositions powerfully come to life—performed with passion by Scrap Arts Music’s five award-winning multi-instrumentalists. Each production is a rich blend of serious, sophisticated ensemble percussion music paired with humorous moments that fill theaters with laughter. Tickets for Scrap Arts: “Children of Metropolis” at the Rozsa Center are on sale now, $22 for adults, $10 for youth and no charge for Michigan Tech students with the Experience Tech fee. Tickets are available by phone at 7-2073, online, in person at the Central Ticketing Office in the Student Development Complex or at the Rozsa box office the night of the show. Please note that the Rozsa box office opens only two hours before performances. 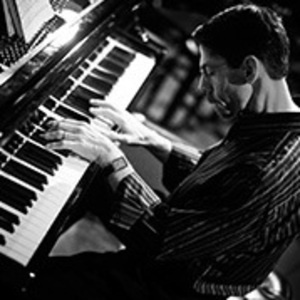 The festival will conclude with a performance by the Fred Hersch Trio at 7:30 p.m. Saturday, March 24, offering a chance to see “the most arrestingly innovative pianist in jazz over the last decade” in action, as per Vanity Fair magazine. Tickets for the film “The Ballad of Fred Hersch” are free; tickets for the Don Keranen Memorial Jazz Concert are $15 for adults, $5 for youth and no charge for Michigan Tech students with the Experience Tech fee. Tickets for the Fred Hersch Trio concert are $22 for adults, $5 for youth and no charge for Michigan Tech students with the Experience Tech fee. Tickets are available by phone 7-2073, online, in person at the Central Ticketing Office in the SDC, or at the Rozsa Box Office the evening of the performance. Note the Rozsa Box Office only opens two hours prior to performances. All Michigan Tech students have one thing in common: Tenacity. They know how to work hard and be successful. 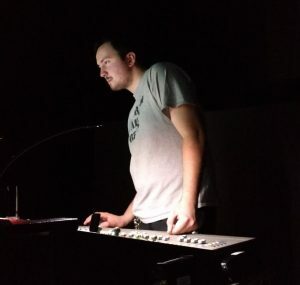 Among them is Henry Sendek, an Audio Production and Technology student. Adding on to his full class schedule and on-campus events, Henry’s major requires him to attend four conferences throughout his time at Michigan Tech: two as an attendee and two as a presenter. These conferences are incredible networking and learning opportunities. They are the job fairs of Visual and Performing Arts departments around the country. Learn more about Career Service’s featured VPA Student, Henry Sendek. Taking advantage of her sound design major with a focus in productions, Samantha Palumbo worked on eight (and counting!) productions in the past three years at Michigan Tech. Samantha has worked a variety of positions – from hanging lights to being in charge of painting sets. After taking the Scenic Art and Illustration class, Samantha was the Scenic Charge Artist for Picasso at the Lapin Agile. Read more about Samantha’s experience through Career Services. The Rozsa Center and Department of Visual and Performing Arts (VPA) presents the Rozsa gallery b show “Come In We’re Open,” an open-house exhibition of student sculptors’ work in progress, as a part of the Project Learning Lab alternative classroom project. The show opened Monday and runs until Saturday (March 10). There will be a public reception at 5-6:30 p.m. tomorrow (March 8), is free and open to the public. 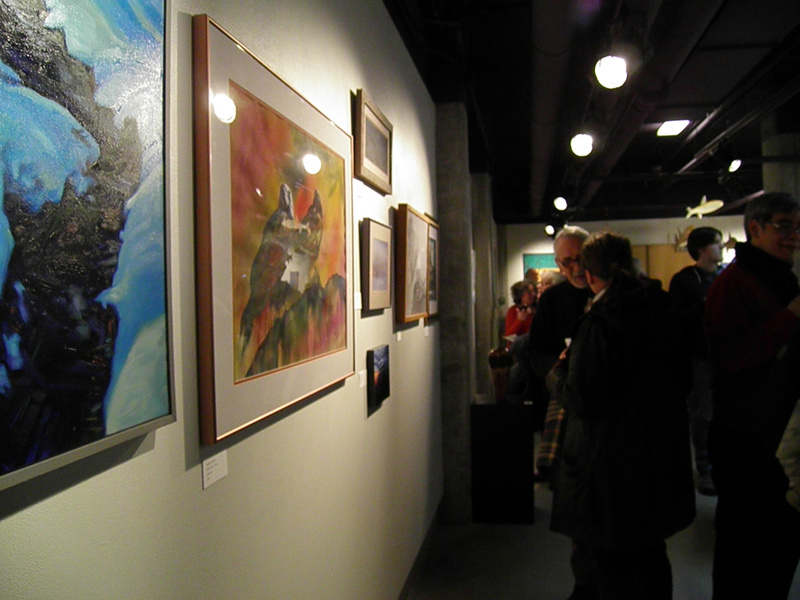 Gallery hours are 8 a.m. to 8 p.m. Monday – Friday and 1 to 8 p.m. Saturday. Also ongoing is the Rozsa Gallery A-Space exhibition “Always Room for Rain,” presenting the work of artists Raquel Alvizures and Ross Chaney. The public is welcome to experience the progress of visiting artist-in-residence Alvizures, who is painting a mural for the Rozsa Center during the week in the Rozsa North Mezzanine. Visiting hours to see Alvizures at work are 1-6 p.m. today and tomorrow (March 7/8), and 1-4 p.m. Friday (March 9). For more information, contact Lisa Gordillo (7-3096).